Artliner, the iconic eyeliner by Lancôme, celebrates its 20th this event with a new, colourful line that takes intensity to a new level: Artliner 24H. 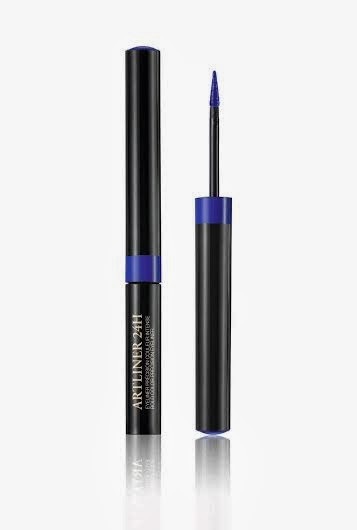 To adapt to every woman’s style, Artliner 24H comes in ten new bright, metallic and very pop shades for graphic make-up with guaranteed glamour: a wealth of vibrant colours for an intense and bold effect – and eyes that are more captivating than ever! Artliner 24H adapts perfectly to the eye looks designed by Lancôme, the essential allies of Hypnôse mascaras and palettes. The shades Argent, Turquoise and Améthyste frame “doll eyes” twinkling with freshness, while Chrome, Saphir, Or and Cuivre create the chic and elegant “Star” look. Finally, the “Drama” make-up look is accentuated with Diamant Noir, Emeraude and Jade for deep and intense eyes.